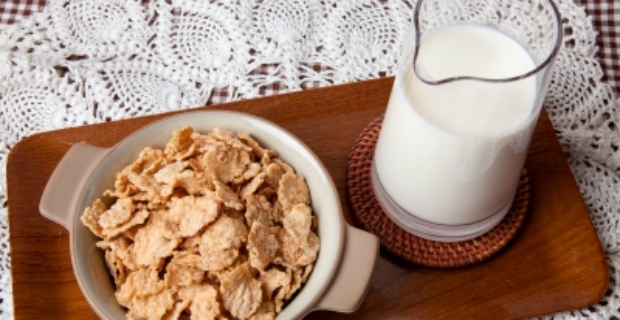 Milk and dairy products are necessary for good bones and health. But if you are suffering from lactose intolerance, then it might be difficult for you to get the necessary vitamins and minerals your body needs. We explain how to identify lactose intolerance and ways to beat this condition so you can still get important vitamins in your body. Lactose intolerance is the condition wherein the body is unable to digest lactose, a natural sugar found in dairy products such as milk, cheese or ice-cream. This condition should not be confused with an allergy because it is not. The severity of the symptoms depends on the ability of the individual to digest lactose. Other people are able to eat dairy products without exhibiting symptoms of lactose intolerance, but there are certain groups who suffer the discomfort. A major concern amongst these groups of people is to receive enough calcium for healthy bones. Lactose intolerance affects people of Native American, Asian, South American and African descent. It is less common amongst Europeans. Lactose intolerance symptoms usually develop from 30 minutes to 2 hours after drinking milk or consuming dairy products. When you are lactose intolerant, this means the small intestine does not produce enough lactase, an enzyme that digests lactose. In other cases, the body stops producing the enzyme after a short or long illness. Surgery can also play a role if and when the body ceases to make lactase. The condition also runs in families and occurs either during teenage or adult years. Even a newborn infant or a premature baby can experience temporary lactose intolerance. Avoiding milk and dairy products for a month or so will confirm diagnosis of lactose intolerance. Unfortunately, those who suffer from this condition, have to find ways to get enough calcium whilst avoiding or minimising discomfort. Refraining from consuming milk and dairy products is one solution. To get enough calcium in the body, calcium supplements should be taken. 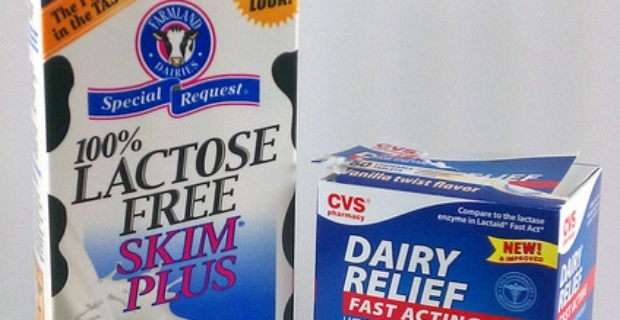 Lactase enzymes are also available as pills or in liquid form to control the condition.